Outline the whole of Wikipedia — how does that sound to you? Oh! and mind map it while you’re there. You can see the map above in an interactive Flash rendering. These summaries can be downloaded as RTF text or as mind maps in MindManager format. 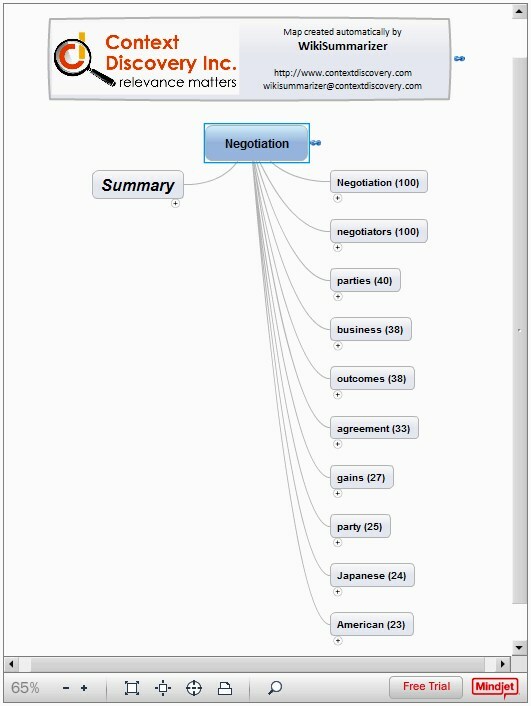 Here’s a page showing the context analysis for Negotiation. You can browse through the archive of pages done so far here. Henry is looking into making this a public service and would like to form a group devoted to building libraries of topics and processes as a resource for mind mappers and learners. There is another Wikipedia mapping services, and that makes an interesting comparison. Though the map shows more breakdown, clicking on nodes for detail just takes the reader through to the appropriate section in the WikiPedia article, instead of giving the textual analysis right on the map, as Context Discovery does. The Context Discovery desktop software is not just about Wikipedia – it can analyse and map text generally. Good stuff! Like the idea of summarising WIKI content using Mind Mapping techniques. 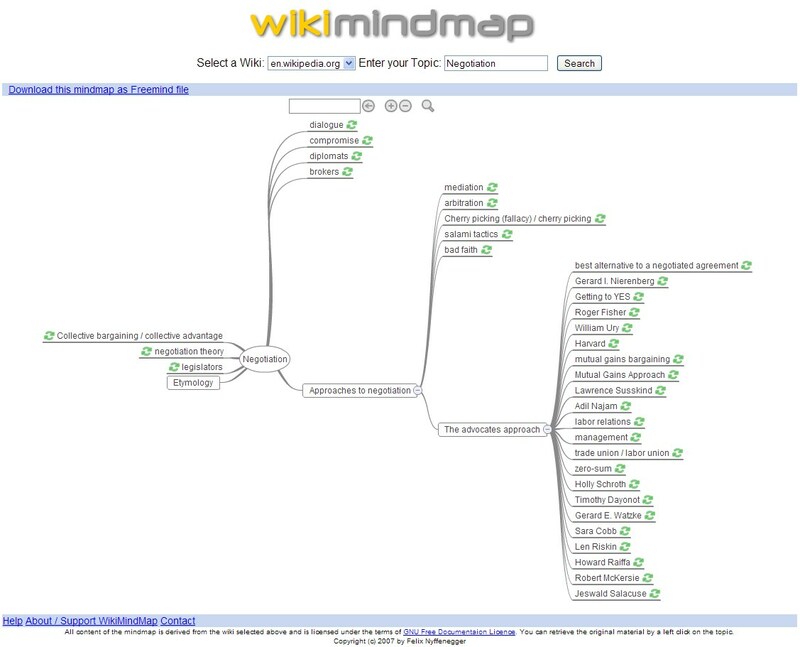 Wiki MindMap is an interesting tool which I plan to review/take onboard. If the Wiki Summariser solution enabled export to a Freemind format (and other formats) this would be very useful.